The causes of centennial to millennial scale climate fluctuations are not well understood. Three forcing mechanisms have been considered: volcanism (section 2.6.3), solar variability (section 2.5.3) and internal ocean circulation dynamics (section 2.6.4). Detailed studies of volcanic events of the last 100 years indicate that significant hemispheric and global cooling occurs a number of months after large eruption (Sear et al., 1987). Such cooling has been associated with the increase in atmospheric aerosol content, due to the emissions of large quantities of dust and sulphur dioxide during eruptions (section 2.6.3). Less certain is whether longer periods (centuries or millennia) of enhanced volcanism may have a climatic connection. Porter (1986) demonstrated a significant correlation between glacial advances of the last 1,400 years and the frequency of volcanic eruptions as estimated by changes in acid content of a Greenland ice core. 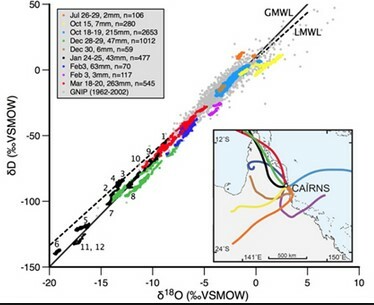 However, changes in oceanic productivity can also vary the release of DMS to the atmosphere (section 5.3.1.2), which after conversion to sulphate can be deposited in the ice cores (Charlson et al., 1987). Thus, while individual spikes in the acidity record probably represent specific volcanic eruption, the background acidity level in the ice core could represent a response to climate change rather than a cause of climate change. It is also necessary to examine from a modelling viewpoint how episodic volcanic impulses are transmitted into the lower frequency part of the spectrum; observations from both the instrumental record and ice cores indicate that the volcanic signal and the detectable temperature effect are manifested in only the first couple of years after an eruption (Legrand & Delams, 1987). One possible explanation involves some type of ice-albedo feedback (Robock, 1978), in which short-term cooling events affects sea ice cover. Due to the longer time response of sea ice, the effect may then be felt over a period of decades. 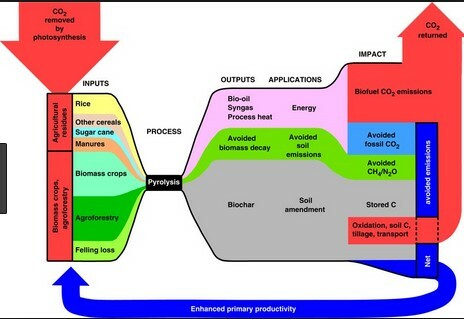 Another mechanism which may have forced Holocene climate changes is solar variability. A number of solar periodicities were reviewed in section 2.5.3, including variations in sunspot number, solar diameter and total solar output. Eddy (1976) noted that a well-known minimum of sunspot activity at the end of the seventeenth century (the Maunder Minimum) coincided with one of the coldest periods of the Little Ice Age. Proxy records of 14C and 10Be (Beryllium) isotopes suggest a link between solar output changes and Holocene climate variations (Eddy, 1977). 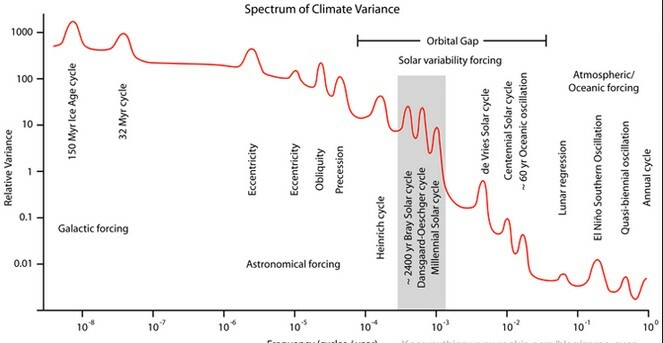 However, considering the uncertainty associated with a solar-climate link, due partially to the somewhat improper use of statistical analysis, it would seem unwise at this stage to investigate further any causal mechanism of century-millennia climate change involving solar variability. The third mechanism invoked to explain climatic changes during the Holocene involves ocean circulation. Because the surface mixed layer and deep ocean have different response times, essentially high frequency random fluctuations in climatic forcing may generate responses at lower frequencies (Gaffin et al., 1986). Such internal responses are typically non-linear in nature. Although capable of self-generation through such non-linear dynamics, ocean circulation changes may often be driven or regulated by external forcing perturbations. In this sense, changes in ocean circulation could be regarded as a primary climatic feedback. Mode changes in ocean circulation have been considered (Broecker, 1987) as forcing agents of climatic change during the last glacial-interglacial transition, and in particular the Younger Dryas Cooling (section 5.3.2.1). Boyle and Keigwin (1987) also suggest that the neoglaciation between 4,500 and 2,500 years ago was associated with decreased NADW production. Quinn & Neal (1992) have proposed that the quasi-periodic nature of El Niño events may account for some decadal scale climate change during the last 500 years. Nevertheless, improved proxy records will be required if the reality of these internal oscillations and their climatic response is to be determined.